No matter how careful you are while driving, at some point you are going to get a puncture. 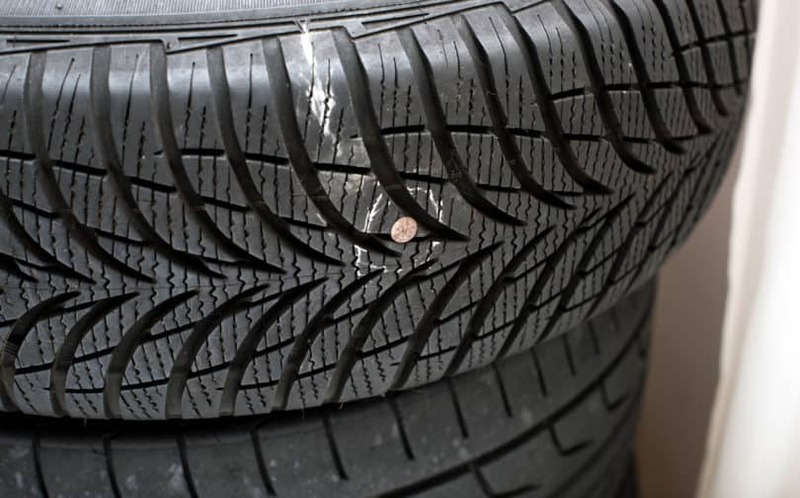 In many cases this will be caused by something as simple as a nail in one of your tires. What To Do If You have A Nail in your tire? First and foremost, take a deep breath. You may be running out of time for your meeting, or you may be late driving the kids to school. No matter what, if you are in a hurry, this is the kind of situation that can’t wait for later. There are a few things that you need to do before you can safely drive the car again. Important! If you don't know the first thing about cars, or you are located on a busy road then it's best to call a professional to help you out. Don't drive the car, as the handling will be severely compromised with a flat tire, and you will damage the wheel. Remember to stay safe and don't take any risks! Locate the puncture but don’t remove the nail if you find one. Now take a good look at all of the tires, starting with the damaged one. Yes all of them. While unlikely, you may have more than one nail. You may need to move the car to inspect the entire surface of the tires. While you are looking for more nails take a reading of the air pressure on each tire. In theory, all tires should have a similar pressure if they are all the same size tire. If the tire with the nail has lower pressure, then it's losing air. If you don't have far to drive (less than a few miles/kms) to a service station or tire repair shop, you can try pumping up the tire so that you can drive there. This is assuming the tire isn't too flat to begin with. If the tire pressure should be 30psi (around 2 bar), then it's safe to try pumping it up if the pressure hasn't gone below 25psi, and if the tire is holding air sufficiently (ie not losing air quickly). If You are near your destination. You are in your neighborhood, near your work or near your house and all of the tires have approximately the correct pressure. In this case, you can safely drive to your destination (assuming it's near, say a 5-15 minutes distance). Once there you can call for assistance. You are far from your destination. Even if the tire pressures are normal, is not recommended to drive long distances with a nail in the tire. It’s too risky, the puncture may get worse and lose air pressure. The smartest strategy is driving your car to a safe place and call for assistance. Optionally, you can use your spare tire if you feel confident doing so. Tire pressure is low. If that’s the case then your options are scarce. You should not drive any further. Either you call for assistance or change the tire. Consider the above as the standard procedure but by no means are the only options available. 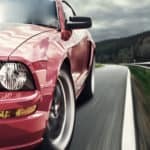 If you know a bit more about cars and are willing to get your hands dirty, then you may have some alternatives. 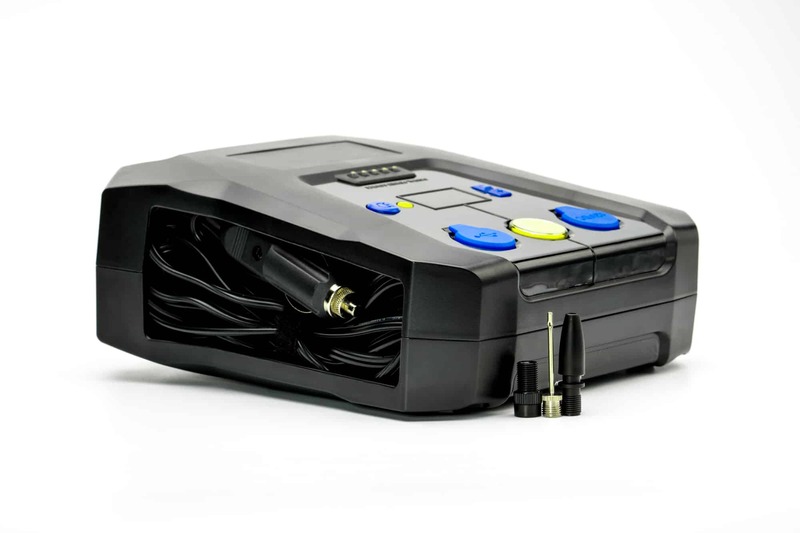 ​A portable air compressor may save your day if you are close to your destination. 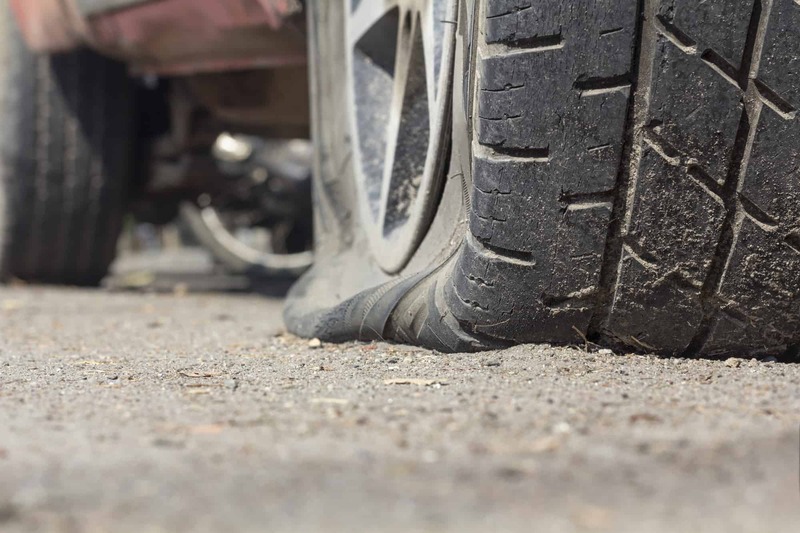 If the tire is above 26 psi you could try to inflate it and drive slowly for a minute or two before stopping and checking the pressure again. If you find that you can maintain 29+ psi then you can risk a short distance. Drive slowly and carefully of tire pressure at all times. ​ For a small amount of money, you can find a universal tire repair kit. Most kits include all tools necessary to remove the nail and repair the tire. Some of them even include the portable air compressor (you will need it). Keep in mind this option requires removing the tire from the vehicle and applying a patch. In most cases, this option only makes sense if you don’t have a spare tire at hand (or you are lucky enough to have two nails in different tires). There are situations where your common sense urges you to fix the issue as fast as possible. You may be driving at night, or on a lonely road for example. If that’s the case, an emergency tire inflator is what you need. These products come into a pressurized bottle that contains a special formula that seals the puncture instantly. All you need is to attach the bottle to the tire valve trigger the bottle mechanism and wait a few seconds. No jack required. This solution allows you to drive to a safer location. Once you managed to reach your destination the next step is checking your tire. Go to a tire shop and ask them to diagnose the severity of the puncture. There are many factors to consider, the diameter of the puncture, its location, the type of tire you are using, how old it is. A professional technician should be able to repair the tire unless the damage is too high. If that’s the case you will need to replace the tire.